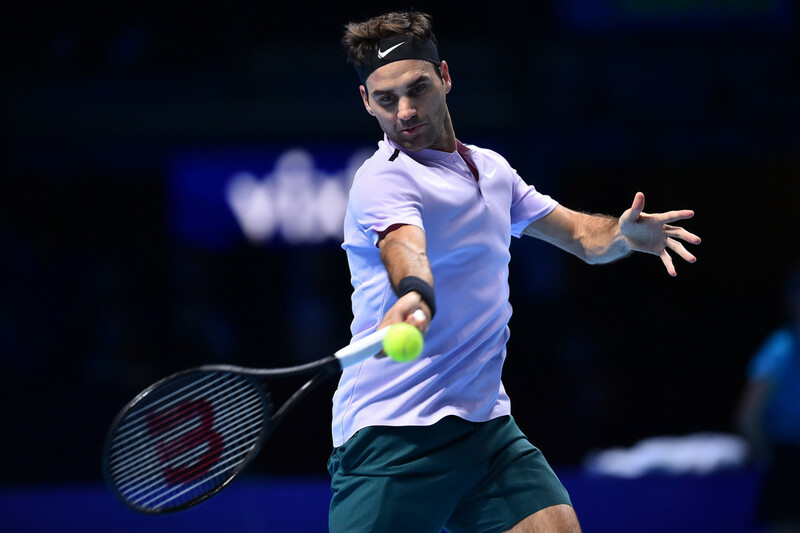 Roger Federer marched into the semi-finals at the ATP Finals once again on Tuesday but he made hard work of the task before finally prevailing 7-6 (6), 5-7, 6-1 in a high-quality battle of the generations with Germany's Alexander Zverev. The 36-year-old six-times champion may have been giving away 16 years to the youngster fancied to be the game's next major force but Federer proved in a dominant third set that, for the moment, he still remains a cut above his young pursuers. The triumph in two hours and 11 minutes ensured the 19-times grand slam champion booked a place in the last four for the 14th time in 15 appearances. It also meant that Zverev and Jack Sock will now meet on Thursday to decide the other qualifier from the Group Boris Becker. Sock earlier lived up to his childhood nickname of "Showtime" by producing a dramatic comeback triumph 5-7, 6-2, 7-6 (4) over the erratic Marin Cilic, who is now eliminated after two straight defeats. "It was a good battle and I always enjoy myself at this beautiful arena. I'm happy and relieved that I can play freely against Cilic, instead of it being a nailbiter. It's been a tough group so to be through in two matches is great," said Federer. Looking increasingly irritated as his first serve percentage dipped to an alarming 43 percent, the misfiring Federer was broken again at 5-6 as Zverev leveled the match. Federer has now won 12 consecutive matches, dating back to his title runs at the Shanghai Rolex Masters (d. Nadal) and the Swiss Indoors Basel (d. del Potro). That streak features seven indoor victories, including his ATP Finals opener against Sock. No doubt Federer had a perfect 2017 & is doing alot better than these young generation guys like Zverev. Hope he will continue the momentum in 2018.